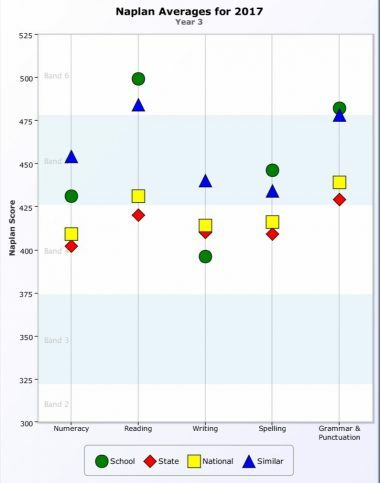 Even more pleasing though is the individual student progress for our Year 5 students. In multiple areas our students are demonstrating learning progress well beyond the national average. 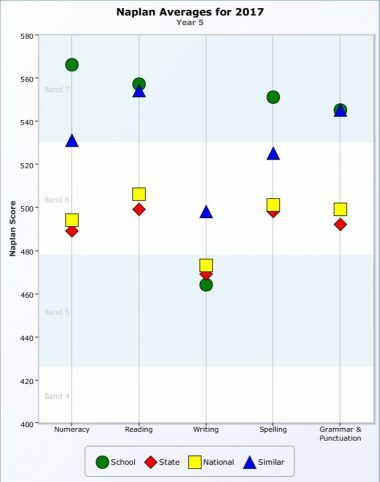 NAPLAN data provides graphs showing national average growth and individual student progress from Year 3 to Year 5 for each of the curriculum areas assessed. We are cautious of using data for school or year level analysis given our small cohorts (the My School website doesn’t report for small cohorts), but value the information received for individual students. This student data adds to the suite of information our teachers collect to plan effective and targeted learning programs. With small classes, this attention to individual needs can impact significantly on learning outcomes. The only area in which we didn’t perform well this year was Writing. This had already been identified as a whole school priority area for 2017 and with focused attention we expect to see improvement over time. At Moerlina, we do not teach programs designed to improve NAPLAN results. Our programs provide rich, deep learning across a broad curriculum. They encourage collaboration and teamwork, critical thinking, problem solving, imagination and creativity. Play forms an important part of every day across all year levels, as do our learning environments – inside, outside and beyond our school gate. Obviously engaged, switched on children who enjoy school perform well!